“The Princess and the Ruby: An Autism Fairy Tale” Wins a Silver Medal! 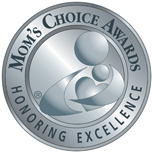 The prestigious Mom’s Choice Awards panel of judges have bestowed 2013 silver medal status to “The Princess and the Ruby: An Autism Fairy Tale” in the category “Children’s Picture Books: Specialized Concepts / Differently Abled”. Authored by moi, and illustrated by the ever-talented, Richa Kinra. The book beat out many hopefuls as the best in family-friendly media, products, and services. Thank you, Mom’s Choice Awards!!! !